Ever wondered how much tuition cost back in the late 1800s? Or what campus fashion looked like in the 1970s? Well, catching a glimpse of retro U of U is easier than ever. 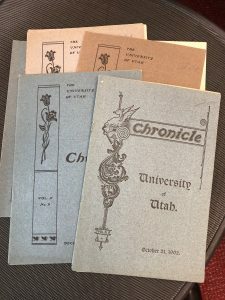 The first 100 years of the University of Utah’s student newspaper, The Daily Chronicle, has been digitized and placed online. You’ll find every page of every issue, from 1892 through 1992, at the web site Utah Digital Newspapers. The Chrony is one of more than 800 university-student newspapers in the U.S.— and one of the few that has been continuously printed for over a century. For its first 15 years, the Chronicle was published in a booklet format. One of the key advantages of digitization is searchability: researchers can enter a term and uncover every page on which a particular topic or name appears. A century of the Daily Utah Chronicle in digital form is a goldmine of information waiting to be discovered. 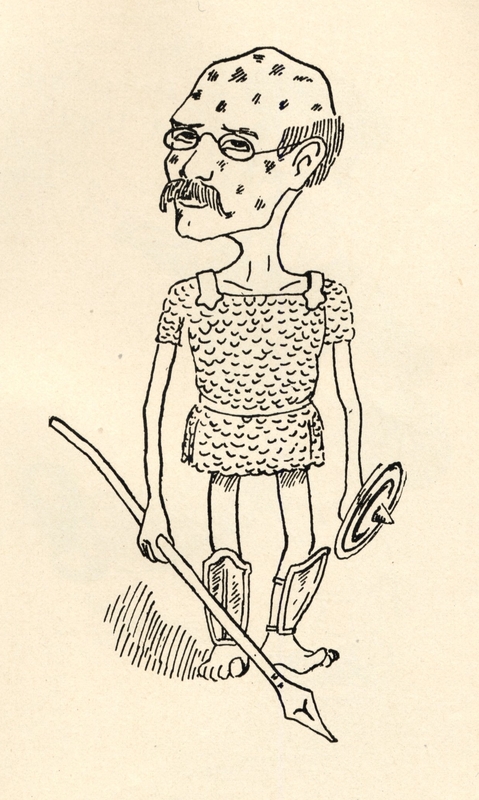 It’s fitting that Marriott Library’s Digital Services Department is responsible for the digitization, because the Chronicle’s very first staff, in 1892, was recruited and supervised by University Librarian George Q. Coray. The inaugural issue, published on Friday, December 16, 1892, includes this astonishing news—a year of college only cost $5! A year of college for five bucks? Sounds pretty good! While the economics of higher education have obviously changed, one of the pleasures of exploring historical newspapers is finding out how similar those “old-fashioned” students were to their present-day counterparts. 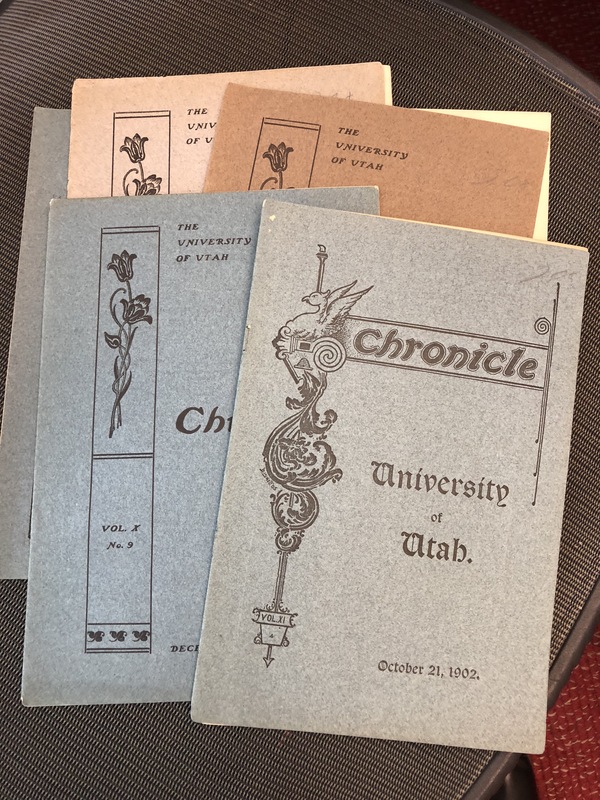 As we celebrate the digitization of 100 years of the Utah Daily Chronicle, we took a moment to chat with Jake Sorensen, director of Student Media. In addition to overseeing the Chronicle’s operations, Jake oversees and coordinates with K-UTE Radio, Wasatch Magazine, thegeekwave.com and AdThing, a student-run ad agency. I started working at the Chronicle in 2002, I think, when I was a U of U student. I sold classified advertising and assisted in the accounting department. In 2004, I applied for and received the position of advertising manager, then general manager in 2006. This evolved into my current role overseeing all student media — print, web, and audio-visual. What aspect of overseeing the student newspaper do you like the most? Being with students who are constantly creating something new. A former alumni of the Chronicle shared this story: After the newspaper’s staff would produce an issue, their faculty advisor would come in and mark it up. Then he’d crumble it and throw it in the trash. That was his way of saying, ‘That’s over. Now turn your attention to the next issue.’ There’s an entrepreneurial aspect there: we’re always seeking to connect an audience with a product, and we’re always trying to serve that audience in the best possible way. I think that’s a fascinating concept, especially with how fast-paced journalism and news is today. Today the Chrony appears both in print and online. How do the two editions differ? The content is controlled by timing and relevance. A football game on Thursday night will be old news by Monday, so there is no point in repeating that information in print. We’ll reserve printed space for investigative, in-depth stories that take longer to research and write. In this way, we are developing the printed version more as a news magazine. The online version, on the other hand, is the “quick hit.” The average attention span of an internet user is three to four seconds. You have to grab them quickly, before they click away. Just like all U.S. newspapers, the Chrony had to move from an old-fashioned print publication to the digital age. When and how did that transition occur? When I started at the paper in 2002, there were still light boards in the office. I believe they had stopped using them not long before I started. Stories were typed up into columns and then cut apart with scissors. The pieces were physically arranged to form a full page. The result was photographed. The printer would use the negative to make the plates that were inked up and placed on the printing press. There was a darkroom full of photo-developing chemicals, too. There was a move all at once around 2001-2002 toward using software to build an issue. Specifically, they started using Quark. Around the same time, the Chronicle had its first World Wide Web presence. Can you talk about some of the unique challenges that student journalists face? Time is an issue. They are so pressed for time. They are students first, and there is already so much on their plates. We try to make sure that they understand they are a student first, a Chronicle staffer second. Also, there’s credibility. Sometimes a source might not take a Chrony staffer seriously because they view them as “just a college journalist.” But Chronicle journalists have proven throughout the publication’s history that these students take their jobs seriously. They are trained really well by the faculty in the Communications Department. 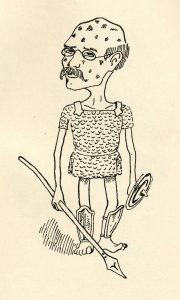 For example, take the recent story about comedian David Cross posing in LDS undergarments prior to his performance here. The Chronicle first broke the story, which was picked up by news organizations regionally and even nationally. Our story had quotes and information that the Deseret News and The Salt Lake Tribune did not have. I think that indicates that even though they are students, they know how to do their jobs correctly and they do them really well. Another challenge is that we have 60 percent to 70 percent turnover of staff annually. Every year there is a new editor-in -chief and new section editors. These students have to learn new jobs that involve management and they also have to train new staffers in the basics of reporting and editing. Few professional news organizations have to deal with that rate of change. What do you see as the value of digitizing 100 years of the Daily Utah Chronicle? The text-searchability is a huge benefit. Just yesterday, we helped someone find a photo they appeared in 40 years or so ago. An alumni or their descendant might call and want to find a Chronicle article the alum is mentioned in. Although we have all the printed issues in our office, we encourage people to search on Utah Digital Newspapers because it’s so much easier than having to travel to campus to look at the printed issues or the microfilm. One of the cool things about digitization is you can easily go back and look at the work of our student journalists. At one point in the 1960s, Andy Warhol famously announced a tour of college campuses across the U.S. A Chrony reporter picked up the artist at the airport and began to interview him. After his odd behavior while on campus, she did some investigating and eventually determined that the man who visited the U was not Andy Warhol. In an act of performance art, the real Warhol had hired a doppelganger to go on the nationwide tour in his stead. The Chronicle helped break the story, which developed into a national scandal. Not long ago, a museum out east was building an exhibit on Warhol’s intersection with popular culture. We were able to go back and find those original stories and give permission for them to be featured in the exhibit. The U.S. Memorial Holocaust Museum recently contacted us looking for contemporaneous stories related to Nazism, the Holocaust and the response of the university campus to World War II. Those are opportunities where a student’s work done 30 years or 60 years ago proves useful today on a national stage. *Banner image caption: The Chronicle’s staff was co-ed from the start. Here the 1896-1897 students. Back: Grace Nelson, Stephen L. Richards, Estell Watson, A. E. Pritchard, Lucille Hewlett, Jean Hyde, Chester Ames. Middle: Joseph J. Cannon, George Q. Morris, J. Reuben Clark, Jr., Dorothy Cannon, Seth F. Rigby. Front: Mabel Wallace, Howard Snelgrove, Virginia Bush.